Featured 1964 Plymouth Cars And Trucks - Section contains a collection of featured 1964 Plymouth vehicles submitted by visitors of Plymouth Zone. Own A 1964 Plymouth? 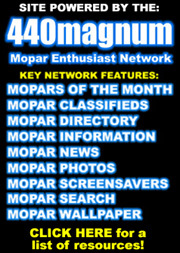 We are looking for 1964 Plymouths to add to this section. Use the submit your Plymouth link above to have yours featured or updated! Barracuda - 2 Door Fastback. Barracuda Sport - 2 Door Hardtop. Belvedere - 2 Door Hardtop, 2 Door Sedan, 4 Door Sedan, 4 Door Station Wagon 6 Passenger, 4 Door Station Wagon 9 Passenger. Fury - 2 Door Convertible, 2 Door Hardtop, 4 Door Hardtop, 4 Door Sedan, 4 Door Station Wagon 6 Passenger, 4 Door Station Wagon 9 Passenger. Savoy - 2 Door Sedan, 4 Door Sedan, 4 Door Station Wagon 6 Passenger, 4 Door Station Wagon 9 Passenger. Sport Fury - 2 Door Convertible, 2 Door Hardtop. Valiant Signet - 2 Door Convertible, 2 Door Hardtop. Valiant Signet 200 - 2 Door Convertible, 2 Door Hardtop. Valiant V100 - 2 Door Sedan, 4 Door Sedan, 4 Door Station Wagon. Valiant V200 - 2 Door Convertible, 2 Door Sedan, 4 Door Sedan, 4 Door Station Wagon.